The parthenogenetic rock lizard Darevskia rostombekowi is considered to be the product of hybridization between female Darevskia raddei and male Darevskia portschinskii. These two species coexist within several secondary contact areas; however, no trace of their hybridization has been previously reported. We conducted focal observations of individually marked lizards in 2017 and 2018 to establish if there is behavioural isolation between these species. We demonstrate that individuals distinguish between lizards of the same and different species. Individuals of both studied species interacted regularly, but we found no evidence of males of either species using interspecific interference competition for resources or for females. Neutral reactions prevailed in the reactions of males to the individuals of the different species; aggressive or submissive behaviour was more common towards males of the same species. 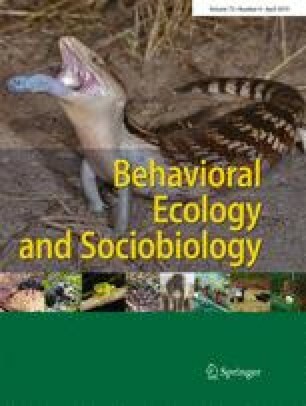 The differences in reactions of males to females of the same and different species were less clear and interspecific social interactions were almost as common as intraspecific interactions. Interspecific male mating behaviour was rare and unsuccessful; only a single female with heterospecific copulation marks on the body was found. The mating period in both species overlapped broadly in late May and early June; body size (SVL) in females of both species was equal. Hence, we suggest that the selection of the sexual partner and preference of the conspecific partner for the social and sexual contacts is the most plausible explanation of the revealed behavioural asymmetry in intra- and interspecific relationship. Here, we present the first description of the social and sexual behaviour of two bisexual species of rock lizard belonging to the Darevskia genus. Most works devoted to the study of reticulate evolution in lizards have used genetic and morphological approaches rather than behavioural observations. The study of the proximal mechanisms of evolution is important in understanding how evolution occurs. The results indicate that even in ecologically similar species, social and sexual selection tend towards separation of the species rather than mixing, although they are able to coexist peacefully. The online version of this article ( https://doi.org/10.1007/s00265-019-2650-7) contains supplementary material, which is available to authorized users. Many thanks to Alexey Tsellarius, Natella Mirzoyan and two reviewers for their help in the improvement of the present manuscript and valuable critics of the text. We are grateful to Martin Whiting for his valuable suggestions and editing of the present manuscript. This work was supported by research projects RFBR 17-00-0425, RFBR 17-00-0430 and RFBR 18-54-05020. The research was approved by the Armenian Ministry of Nature Protection (N5/22.1/51043). All applicable international, national and institutional (Yerevan State and Moscow State Universities) guidelines for the care and use of animals were followed.